Great use of festive colours...love the addition of the glitter on top! Awesome job! Just gorgeous! I am loving the waterfall design! I LOL'd at the dog costume reference. This looks great, Sue! Wow! 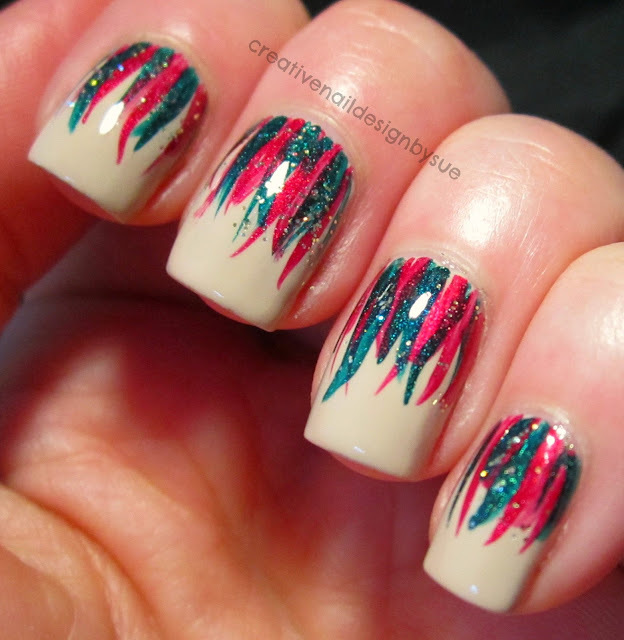 Totally loving the colours and this nail art! Definitely got a Christmas's Vibe there! :D Great job!